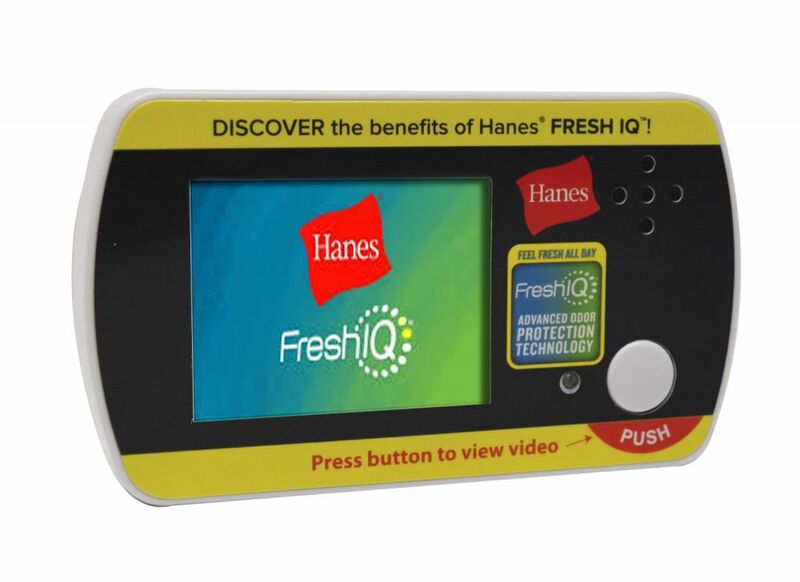 Hanes® was launching a new line called Fresh IQ™ and wanted to grab consumers’ attention and then educate them right at the point of sale. Americhip partnered with Hanes to develop a program utilizing our patented Video Micro Shelf Talkers. These slim, efficient units mount right to the front of the shelf. The flashing LED on the front faceplate grabs attention and then the 15 second video educates consumers on the new features offered by the Fresh IQ line. Our Video Micro Shelf Talkers are the least expensive way to introduce video at the point of sale and perfectly highlight your shelf items. Turn shoppers into buyers with Americhip's compact Video Micro Shelf Talkers.